The Shivoham Shiva Temple was built after RVM, the founder of the temple, had a vision to build a statue of Lord Shiva that would offer hope and solace to devotees, and propagate faith for generations to come. The temple was consecrated on 27th February, 1995 on Maha Shivratri by Sri Shankaracharya of Sringeri. 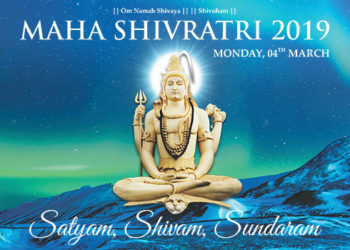 As the Shivoham Shiva Temple celebrates its 23rd Maha Shivratri, the beautiful 65-feet-tall statue of Lord Shiva continues to stand tall as a towering symbol of faith and has gone on to acquire the indisputable and unmatchable distinction of being the most powerful statue in the world. Considered as a temple ‘willed by God’, miracles have known to have taken place here. Devotees return with gratitude in their hearts, seeking to thank Lord Shiva for answering their prayers and making their dreams a reality. And even as believers gratefully acknowledge the presence and power of Lord Shiva at the temple and share their stories of happiness, the magnificent statue of Lord Shiva continues to attract more followers, believers, seekers and visitors. 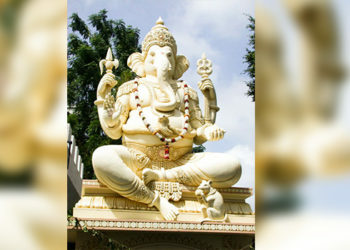 There are certain compelling features or attractions at the temple which especially draw devotees from across the world. The Healing Stone is one of them. Facing the statue of Lord Shiva, the Healing Stone is a pillar of Faith. 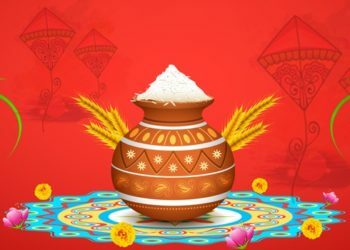 It is believed that the Upchaar Patthar, as it is called, is a Healing Stone that cures diseases and relieves devotees of their pain and suffering. Many devotees who have touched this healing stone with complete faith have been cured of their ailments and have made incredible recoveries. Miracles are born out of faith, after all! The Miracle Coin is another attraction at the temple. It is a powerful faith building and strengthening spiritual activity that has once again created miracles for many believers. In order to encourage thoughts of Shiva, chanting and meaningful prayer, a devotee has to chant Om Namah Shivaya 7 times and then drop the Miracle Coin in the Mansarovar Pond in front of Lord Shiva’s statue to make a wish come true. 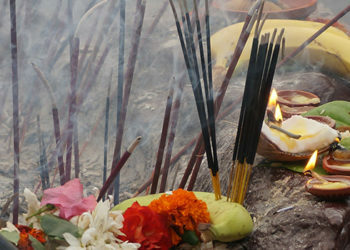 Many devotees have absolute faith in Lord Shiva and know that their prayers will be heard and answered. And for sure they are. This is the truth of Shivoham Shiva Temple! Do not forget to stop by at the Healing Stone or drop the Miracle Coin in the Mansarovar Pond when you visit the Shivoham Shiva Temple. 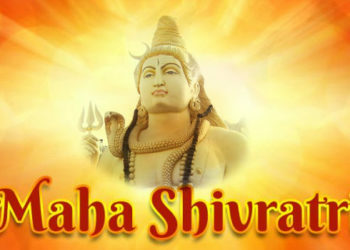 On Maha Shivratri, the spiritual vibrations and the divine energy at the temple intensifies and increases manifold. Touch the Healing Stone and feel the power of Lord Shiva! Chant Om Namah Shivaya, drop the Miracle Coin in the pond and witness miracles in your life!